3 Beds 2 Baths 1,604 Sq. ft. Seller Motivated. Bring Offers! 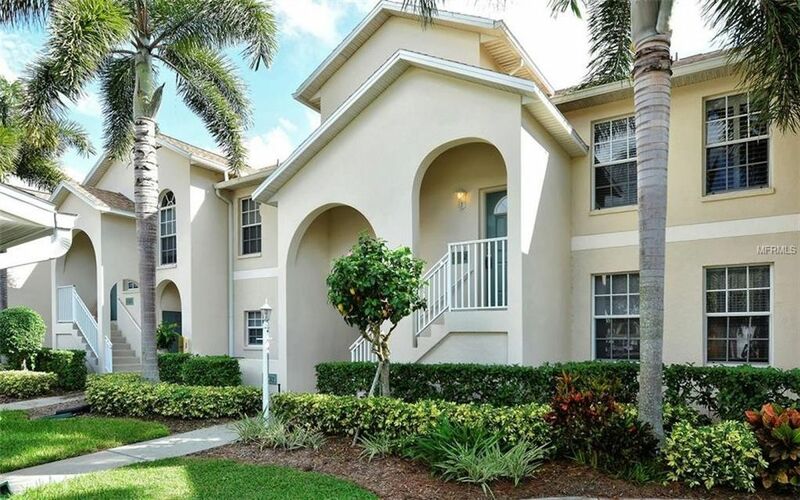 GATED Community, This 3 bedroom, 2 bath home delights you with its WARM and INVITING decor. Soaring ceilings, a Romeo and Juliet Balcony off the master suite with FRENCH DOORS for privacy. The Chateau is the largest floorplan (1604 Sq Ft) in Pinestone and this one has COURTYARD VIEWS OVERLOOKING the South FOUNTAIN with its glorious, Tropical Foliage. Newer AC, Newer Refrigerator, Newer Hot Water Heater. INTERIOR LAUNDRY space with FULL-SIZED Washer and Dryer. NEW ROOF in 2018, TONS OF STORAGE with large, WALK IN CLOSETS in the master, the second bedroom and under the stairwell. NEW Fire Sprinklers installed for fire safety. Very close to the Community Heated Pool and Spa with fabulous amenities....Covered Areas, BBQ Grills, Renovated Clubhouse, Social area for gatherings, Kitchen for Entertaining, Billiard Room, Library and a Movie Theatre, Tennis Courts, Pickleball Courts, Half Basketball Court and On Site Management. Being sold FURNISHED. Reserved Carport Space (#6) PETS ALLOWED! (See Restrictions). Building Exterior shall be freshly painted by end of February. Directions: Head South on McIntosh Road. Community entrance is on west side of road. Gated and Code is required. Building #22 is last building on left side before iintersection. Unit is #2221 - Walk up.